It is my joy to celebrate World Breastfeeding Week every year, August 1-7. It’s a time to shine a light on women who give this amazing gift to their children. As a mom who breastfed 6 children, I know firsthand the roller-coaster of emotions that breastfeeding can take you on. Of course there is physical closeness, and awesome amazement at what our bodies can do, and communion with mothers who have done this same act for thousands of year. But there’s also pain – both physical and emotional, and there is exhaustion, and there is mental acrobatics that are required to balance your old life with your new. Your body is changing, and for good reason! But change is never easy, and the adjustment period can be brutal on a person’s self-esteem. 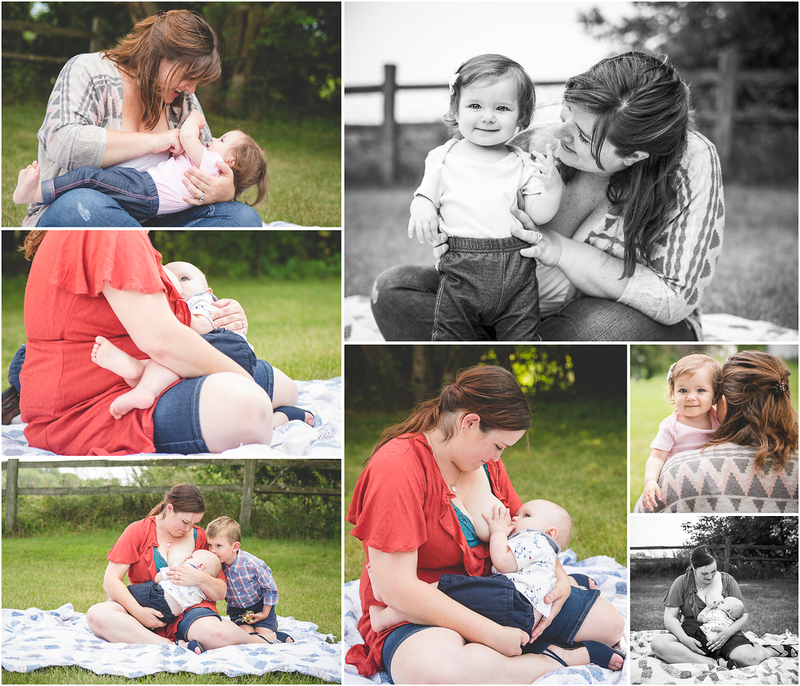 Every year, I invite these breastfeeding mamas to come get a photo session with their nursing child. I want them to have a treasure of this amazing, but brief, time in their motherhood journey. They already know how beautiful their own child is, but all too often they miss how beautiful they are too. They deserve to see themselves as the incredible, powerful women that they are. 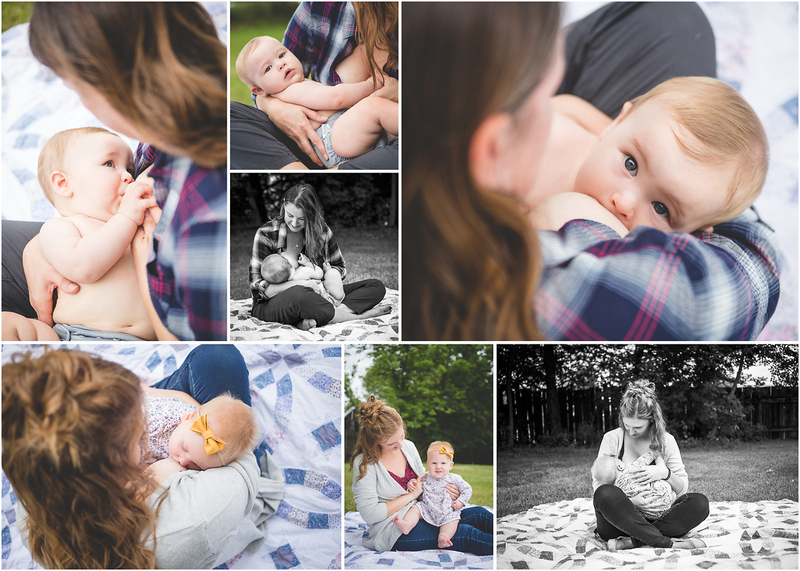 This year I welcomed 18 women who came for a free breastfeeding photo session. I do these sessions for free because I think it’s important for breastfeeding moms to know that they are supported and encouraged by a growing community. Not everyone breastfeeds for the same reason, not everyone has an easy or natural experience breastfeeding, not everyone breastfeeds for the same length of time. I photographed children as young as 3 weeks, and as old as 3 years. One mom only nurses from one side. Another mom exclusively pumps her milk and gives it to her child in a bottle. A third mom nursed her child for the last time at our session. Everyone’s breastfeeding story is unique. And these moms wouldn’t have it any other way. After their session, each mom was treated to a swag bag filled with fun & useful goodies from Recycled Sally’s Consignment Shop in Baraboo, Crafted by Cassie handmade items, and Becky Langenecker – Health & Wellness Advocate. I’m so grateful to all these fantastic businesswomen. Their businesses and products support breastfeeding moms and their children. 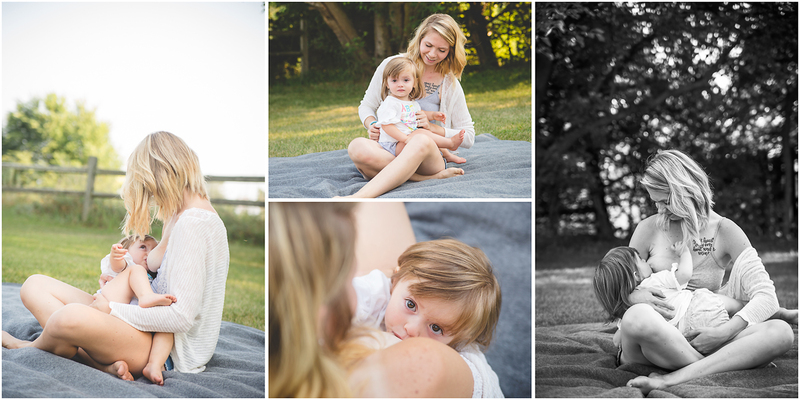 If you would like a free photo session of you and your nursing child during my annual event celebrating World Breastfeeding Week, I invite you to like the Gretchen Willis Photography facebook page, to keep up-to-date on all my news and special offers. To schedule a session any time, contact me at gw@gretchenwillis.com or call/text me at 608-566-9070.